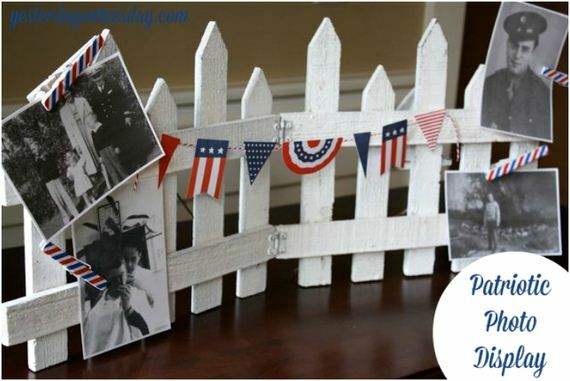 If you too wish to celebrate Memorial Day in a family environment and share your patriotism and support all the soldiers throughout the history of this great nation by decorating your home, we offer you the top 10 Memorial Day ideas and tutorials for some memorable decorations that you can use for all patriotic holidays and events. A simple and quick way to decorate your home is by hanging a big poofy garland that will easily fill up any empty space. Making this pom garland won’t take much of your time and you can even use the poms separately as bits of decor around the house. Once you set everything n the dinner table, there usually isn’t much room left for decorations. 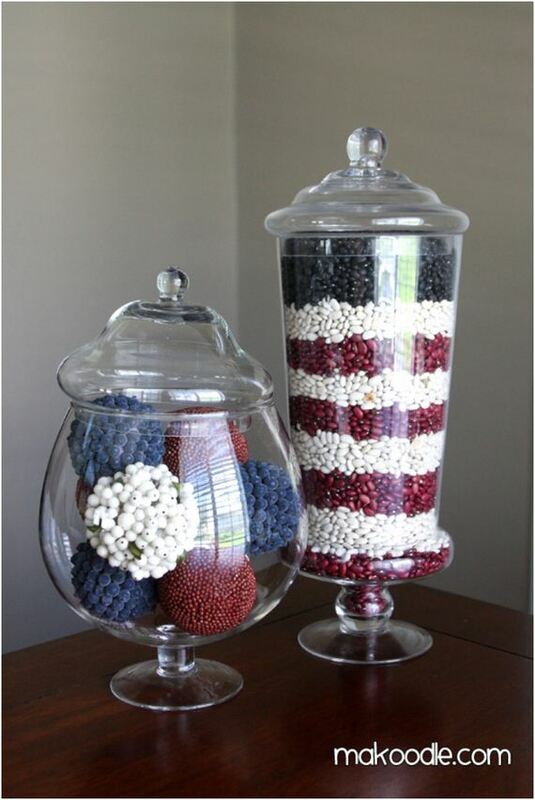 However, you will always have room for a thin glass or vase and that is all that is needed for this patriotic table decor, along with some colored tissue paper, small flags and a fun pinwheel. We light candles and place flags on the graveside when we pay our respects for the deceased. 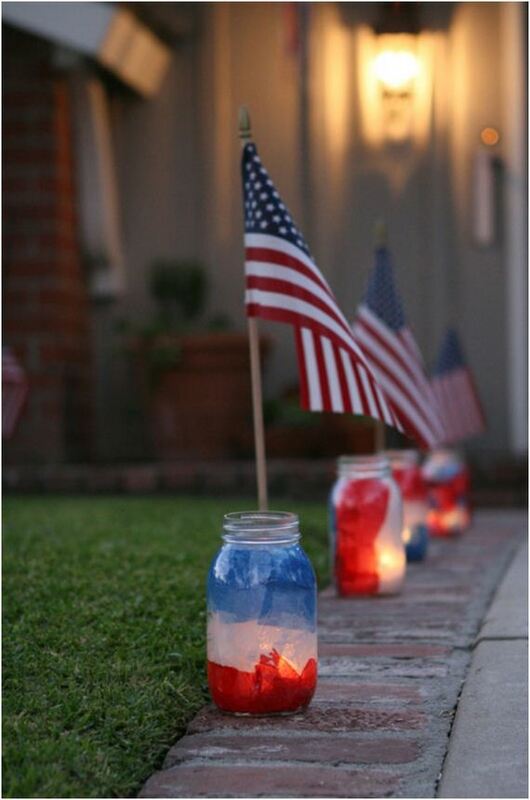 Do the same at your home, by making these lovely patriotic mason jar luminaries. that will look amazing lighting up your walkway. 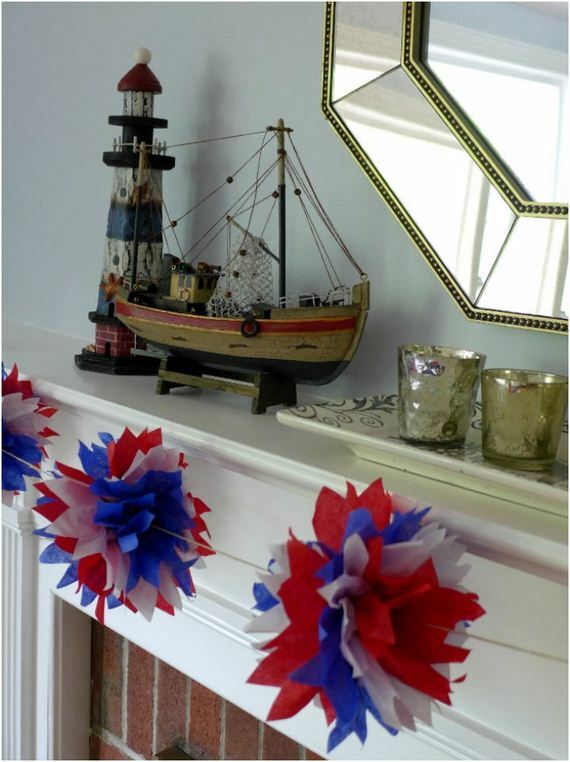 Perhaps you feel that your home has enough decorations without having to put more on the dinner table, but you still wish to give it a patriotic touch. 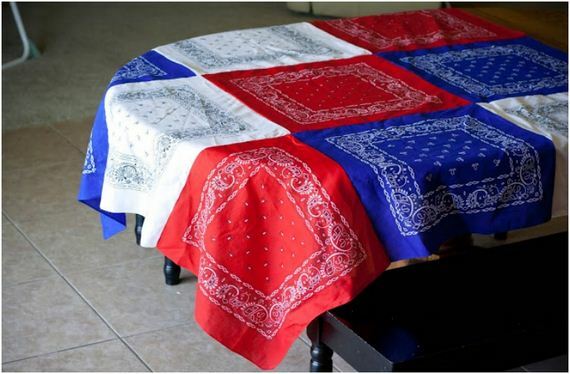 Placing a patriotic tablecloth will do the trick and if you don’t have one you can easily make it from red, white and blue bandanas. The poppy flower has been the symbol of remembrance to the armed forces since 1920 and it is a good way to separate the Memorial Day decor from all the other patriotic holidays. 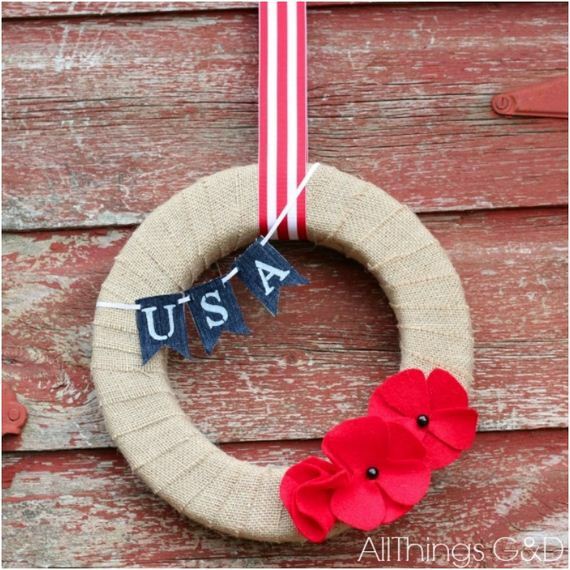 You can add these felt poppies to your clothes or decorations, like with this Memorial Day wreath. There is something peaceful and unique in watching and listening to a windchime swaying in the breeze, just like the American flag. 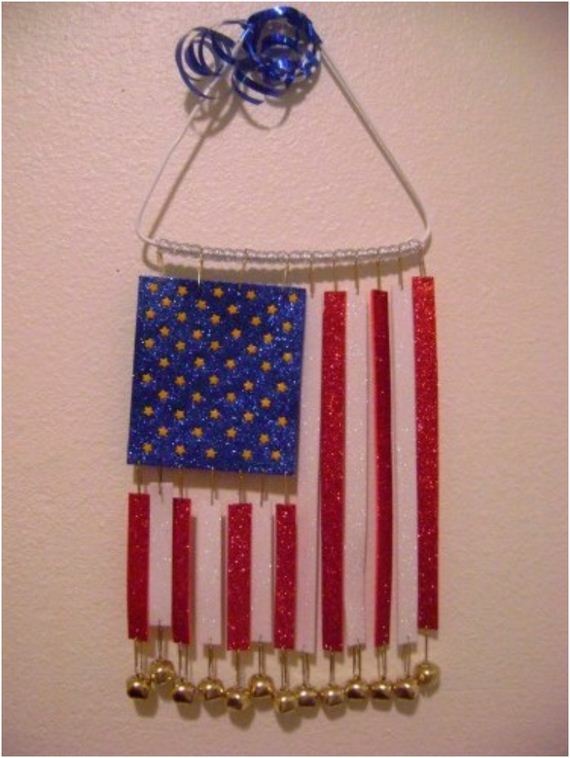 Put those two together and you get a US flag windchime and you can easily make one from craft foam. Let your swaying flag be heard far and wide. Here is a decorative piece that is full of beans, literary. 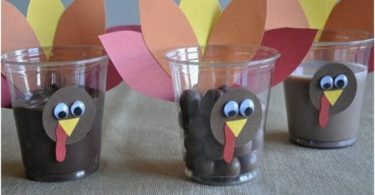 Using regular beans, black beans and red kidney beans to fill an apothecary jar or any other glass container, you can make some pretty sweet decor pieces. Just be careful not to spill the beans. 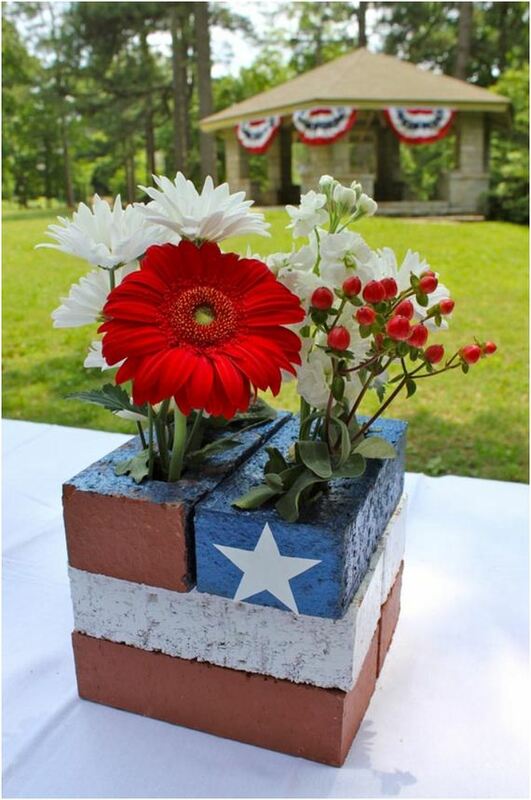 Are you feeling that your BBQ table is missing some patriotic touch, yet you refuse to put a vase on your manly table setting? 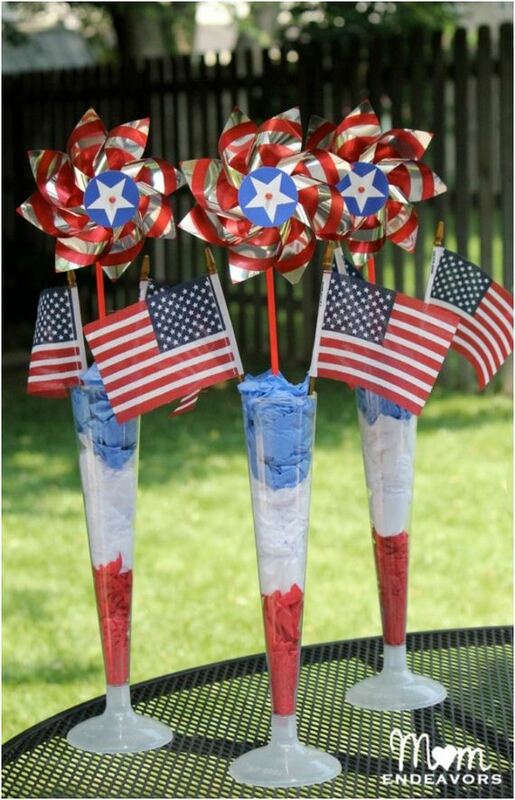 Then you will love this patriotic colored construction material. These strategically stalked bricks are the perfect flower holder for the outdoors. 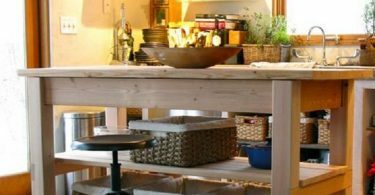 If this is the first time you’re hosting Memorial Day dinner and you wish to go all out and make it extra special, but you have a limited budget, then you will love some of these decor ideas that will bring something extra to your home by spending the minimal amount of effort and money. Memorial Day my not be a flashy patriotic holiday like the 4th July, but is an important one and the next generation must learn o honor and respect it properly. 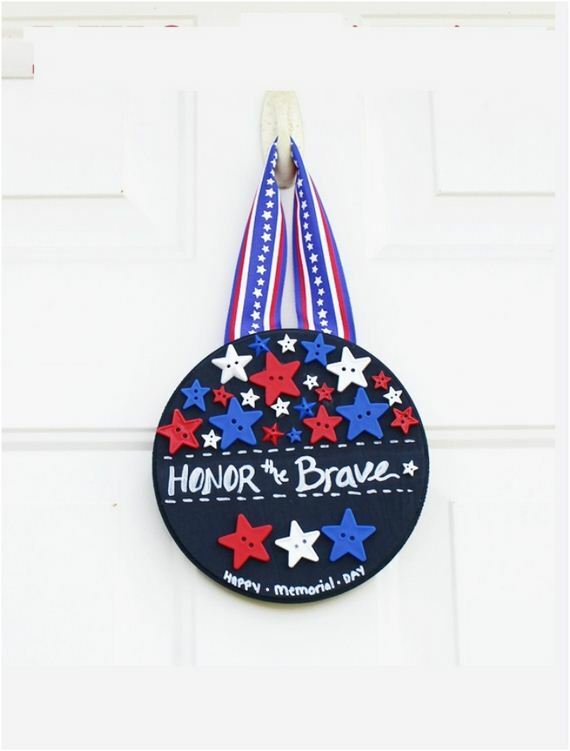 Make this patriotic door decor together with your kids and start teaching them the meaning of this glorious day, so that they’ll never forget the price for their freedom.